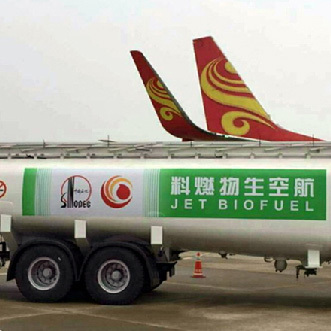 China’s Hainan Airlines on 21st March completed the country's first commercial flight using biofuel recycled from waste cooking oil, as the government seeks to further promote environmental sustainability. 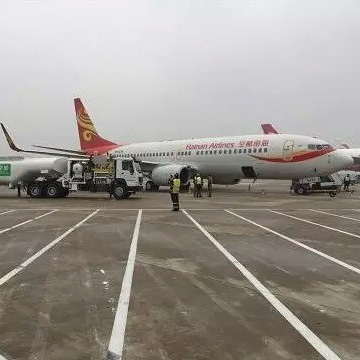 The Boeing 737 flight from Shanghai to Beijing used fuel made from “waste cooking oil in China’s restaurants” collected by energy giant Sinopec. It was filled with a 50-50 mix of traditional jet fuel and biofuel. The successful flight marks a step forward for the country’s aircraft industry in energy conservation and emission reduction, and will have a profound impact on the use of new energy. "This fully represents an earnest commitment from Sinopec to continuously advance scientific and technological innovation, and to promote green and low-emission development," said Lv Dapeng, a spokesperson from Sinopec. Although it’s the first of its kind in China, the world's first flight powered entirely by biofuel took place in 2012 in Canada. Several commercial aircraft have since followed, but mainly used biofuels mixed with petroleum fuel, according to AFP. As smog problems continue to fester, biofuel can help reduce carbon dioxide emissions by 50% - 80%, and with a large amount of raw materials available, it will serve as an important and sustainable alternative to replace fossil fuels in the years to come.